Combining a magical musical with wonderful prog-metal, Keor has excelled with the composition and sound engineering of Petrichor, an album fans of Native Construct and Devin Townsend should absolutely pick up. Creeping into my feed towards the end of 2018 was Keor‘s second album, Petrichor, and I’m more than glad to have caught hold of this incredible experience. Before you hit play on the video below, take a second to appreciate that this album, for the most part, was written and played by one man: Victor Miranda Martin. Presented to you today is an album that combines influences from bands like Haken, Native Construct and Devin Townsend to create the soundtrack to a fairytale that is full of emotional ups and downs. 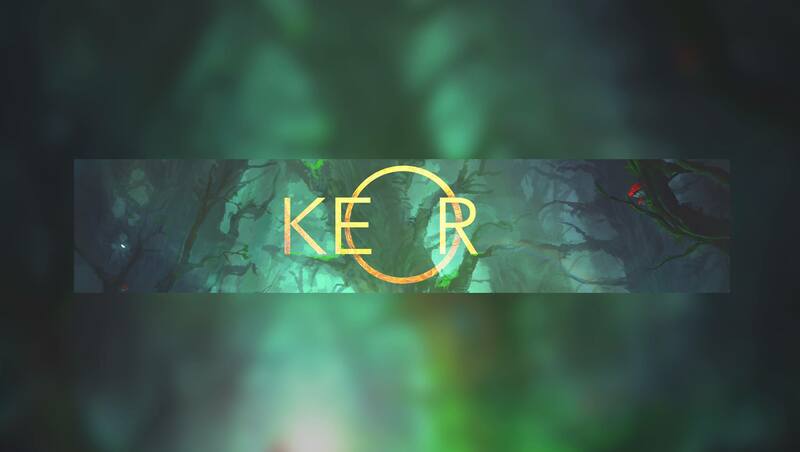 You’ll find the cinematic side of the music outweighs the progressive metal in the record, and I believe that is what sets Keor apart from the aforementioned bands. However, that is not to say that the metal cast forth from the guitars of Keor is lacking; not in the slightest. During the sections encountered throughout this tale, you’ll find some very heavy riffs and special grooves that really stick with you. Petrichor is an extremely emotional record, in both lyrical delivery and content as much as instrumentation, giving this record a lot of memorability in an extremely crowded release season. The record is five tracks long, but each song stretches well over seven minutes, the finale reaching fourteen. As such, you’re in for a long journey, but one you’ll certainly take more than once. Opening track “Petrichor” gives you a taste of the soundscapes you’ll expect throughout the album, launching you knee deep into the fairytale sound conjured by Victor. His singing is really soothing and dreamy, helping you immerse yourself into the cinematic soundscape that unfolds around the vocals. Electric guitars don’t really make an appearance until four minutes into the song, and they rock in with a brilliant swagger. The groove is tight and the post-rock style guitars layered in the background create a brilliant atmosphere for the song. As you’ll find throughout a lot of the songs, the heavy comes and goes fluidly, leaving you sated yet simultaneously wanting more – a testament to the songwriting ability on offer here. Later in the song, after more dreamscapes, Keor channels Devin Townsend for a huge crescendo, before again slipping back into the marching groove heard earlier. As the song climaxes, you start to question how this mighty wall of sound is possibly the work of one person. The layers are rich and entrenched, despite a lot of the sounds being sampled, with a pleasantly organic tone to them. “Nest Of Evil” takes a different path to “Petrichor” at the beginning, instead taking influence from old-school progressive rock like Floyd. However, do not expect anything like a copycat attempt here; the song swiftly lurches into a more modern take on the genre. Distorted guitars play off of the Hammond organ used by Keor before the listener is treated to another few rounds of ambient to heavy music. Every second of this song is interesting, and it really grips you due to the pulsating changes used. I must admit that, because of the excitement felt in “Nest Of Evil”, the very magical third track “Snivel By The Pond” didn’t grip me as much to begin with, that is until the spectacular Disney-like climax to the song kicked in. From this crescendo, you get the feeling that Keor could quite happily transition to game or movie soundtracks. The track is extremely flamboyant in its use of multiple instruments and is very heavy on the orchestral strings and drums. Like each track before it, the mood switches again for the penultimate track “Terence”; with a darker tone of guitars and a psychedelic Mellotron, it creates a sense of foreboding. Towards the end of the song, expect the heavy to really kick in again too, with some really groovy time signatures used for the guitars, as a soaring solo reaches over the top of the mix. The final track, “Abyssal Bloom”, is a fourteen-minute whopper. The song closes the album off in magnificent fashion, thanks to a number of huge climaxes and excellent chugs from the guitars. Petrichor is a real experience, and I’m glad I got the chance to dive in deep on the record. Not only are the composition and the variety of instruments used stunning, so is the way the record plays with your heartstrings. It should certainly be on the radar of anyone interested in the evolution of progressive metal, or those looking for a cinematic experience in their music. The only downside I could really pick out is that sometimes the vocals get a bit monotonous and drawn out, but the story they tell is worth listening to. Previous PostSulphur Aeon - "The Scythe of Cosmic Chaos"